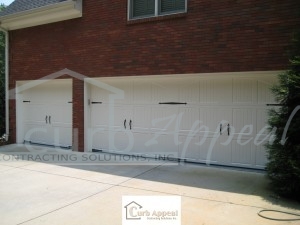 We offer carriage style garage doors in a range of prices and models. Some are available direct from the manufacturer, and some are custom built using few different techniques. 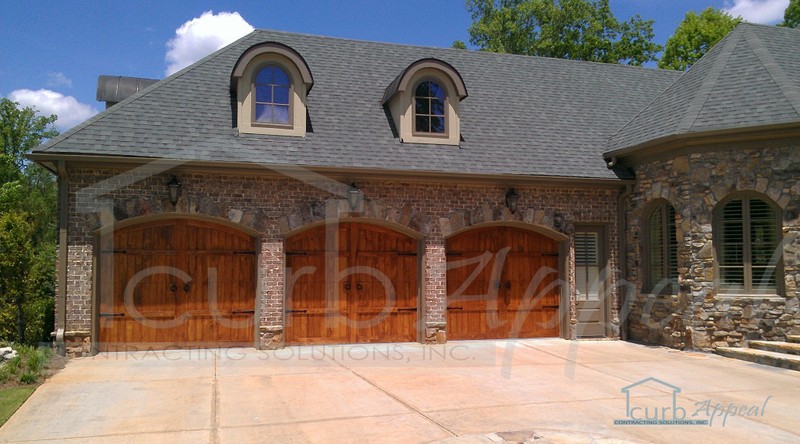 Classica garage door in Tuscany with closed arched tops. Classica from Amarr offers multiple panel designs, and hardware choices. 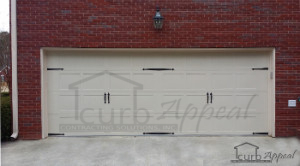 This model 5283 from CHI is a stamped steel carriage style door. 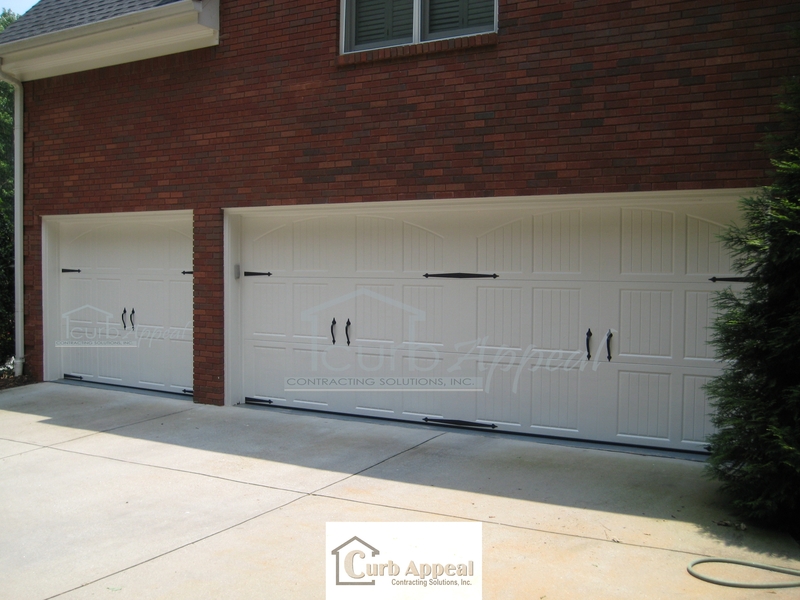 Model 5283 from CHI offers a carriage house look in a steel backed, insulated garage door. Wood grain colors are available on this model. Clopay Reserve offers all the benefits of an insulated door with all the beauty of a real wood overlay. Concerned that having a custom carriage style door built may be too expensive? You might be pleasantly surprised. 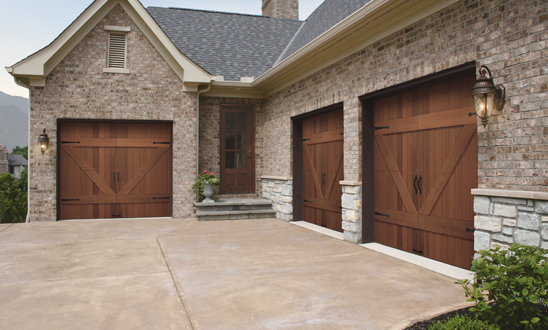 We use several different techniques to achieve a carriage door style appearance that fall into a large price range.